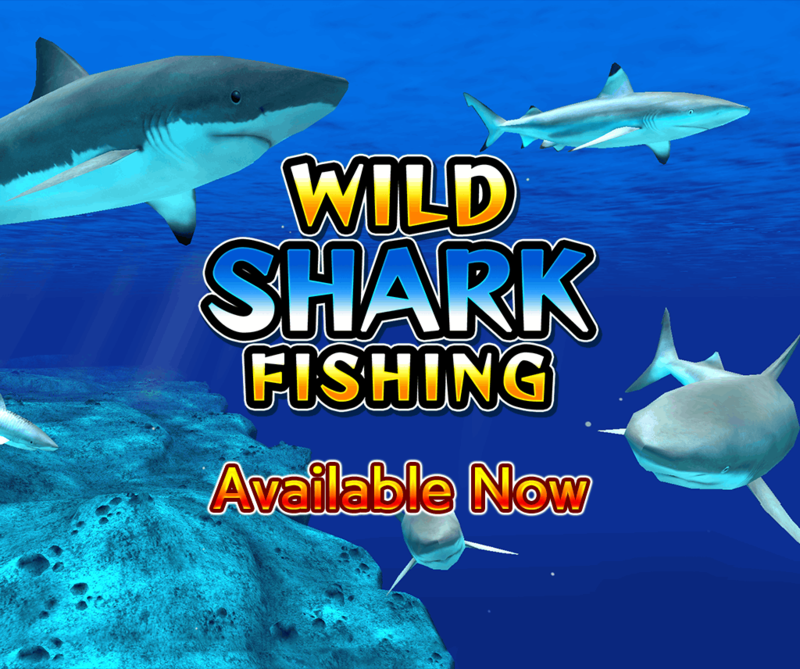 The shark hurls itself at the player!! 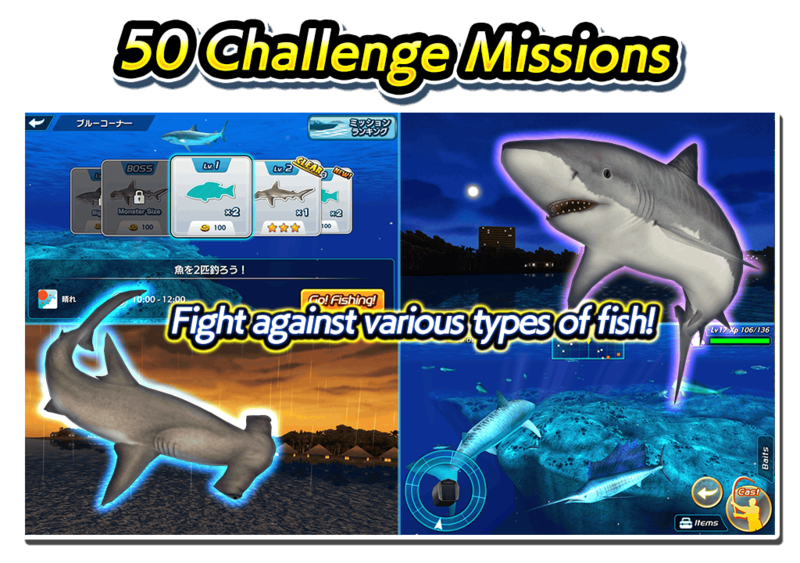 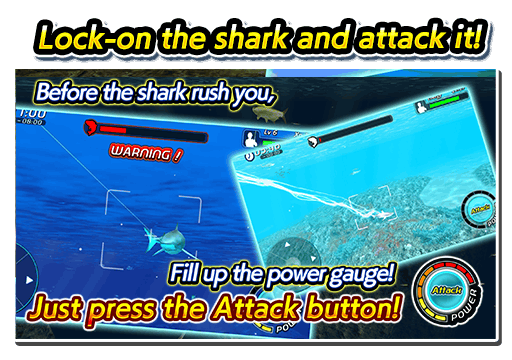 To avoid the shark rush, let's attack and catch it! 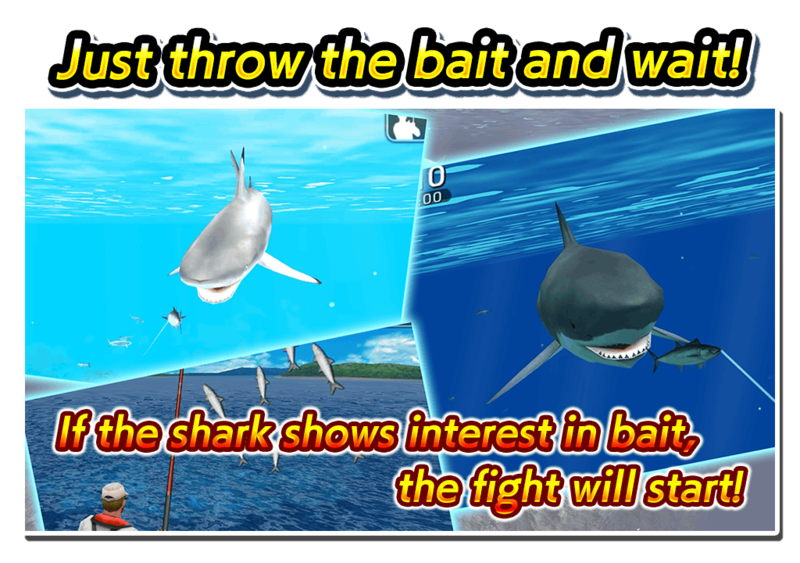 Enjoy the real fishing that fight with sharks!